State Capital Gains Taxes: Where Should You Sell? Have you recently thought about selling your equities? Make sure you know your capital gains tax rates or you might lose out on more of your money. Recently a lawyer friend of mine mentioned that he sold a significant chunk of equities to come up with 20% down for a condo purchase in California. He sold the equities about three months after he moved from NYC to California for a new job. The question at dinner that night: Was it better for him to sell the equities in California or New York? It turns out the answer is clear: sell in New York! It cost him extra money to sell his stock after he established residency in California. If he could do it again, he should have sold them while he lived in New York. Previous to this conversation, I hadn’t given much thought to state capital gains tax rates. For the most part, I’ve minimized all capital gains taxes by sheltering them in tax-protected accounts or by taking advantage of tax-loss harvesting. However, I think this is a common enough example (selling equities for a down payment) that it’s worth exploring in more detail. Most investors are aware of federal capital gains tax rates. Short-term capital gains are taxed at your marginal income tax rate. Long-term capital gains are taxed at either 0%, 15% or 20%. There is an additional 3.8 percent tax on unearned income to fund the Affordable Care Act for certain income levels. In California and New York, like most other states, state capital gains are taxed at your ordinary state income tax rate. There are no special tax rate for capital gains. That’s largely a federal tax invention. This means there are significant differences from state to state in “state capital gains tax rates”. As is the case with federal capital gains tax rates, fluctuations in your income can effect your final tax rate. For example, if you’re taking some time off between moves and jobs, your income will likely be lower that year. That’s a great year to incur capital gains, assuming you planned on incurring them all along. In fact, if you’re taking some time off, you should consider what other tax options might be available to you. 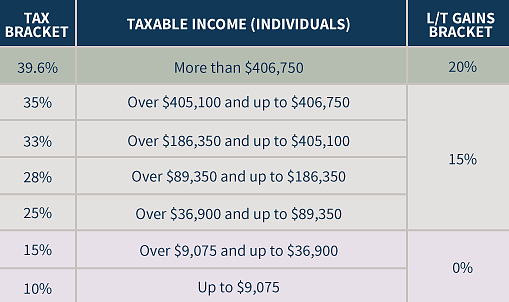 Some people are taking nearly $100,000 of investment income and not paying any taxes. As with all things related to tax, a little planning goes a long way. So, my friend paid an extra $389 in taxes by selling the equities in California. That’s not too bad, but it would be worse if the capital gains are larger than $50,000 (we didn’t discuss specifics for his down payment but I doubt the condo he purchased cost $250,000). This is because California taxes income at 11.30% up to $508,500 and then at 12.30% above $1,000,000. New York (including the NYC tax) taxes income at 10.50% up to $500,000 and then at 10.73% up to $1,000,000. If his combined income is higher than $500,000 and if his capital gains are above $50,000, the tax difference may run into the $1,000s. I think it’s safe to say that a little tax planning in this area is easily worth your time. What About States With No Income Taxes? Just for fun, I also ran the calculations assuming he moved to a state with no income tax (Alaska, Florida, Nevada, South Dakota, Texas, Washington and Wyoming). As you’ll see from the calculations, a high-income earner moving to Texas or Florida would benefit greatly from waiting to sell any capital gains used for a down payment. I don’t know about you, but an extra savings of $5,639 seems like a significant amount of money to me. For those interested, here is a great calculator for estimating capital gains taxes. Let’s talk about it. Have you given much thought to the state tax rate for capital gains? Would you spend the time to do the tax planning before a move like this if you thought you could save $1000s of dollars? Fourteen thoughts on State Capital Gains Taxes: Where Should You Sell? Nope – given no thought to it before but just moved to California and probably should pay attention now. States with no income taxes are looking pretty good! Thanks! Does that mean you got a job in Silicon Valley? I remember reading on your blog that you were interviewing there. If so, congratulations! But, sorry about your taxes. Something I’ve never considered. I can’t believe location mattered in capital gains taxes. I guess I’m getting spoiled living in a no state income tax state but that will soon change once I start working. Will have to play my cards right to transfer myself back to a no state income tax state! First question – Why are you leaving a state that has no income tax? The job better be worth it! Glad you’re considering where to sell equities if you’re ever in such a scenario. It hadn’t occurred to me either until the friend posed the question. I think the job is very worth it and it’s a short-term training program so I will hopefully return to good ol’ no income tax state after the program. Now I better plan out my moves based on when I’ll sell my stocks. Hey BI, that is very very interesting, and a very different way to Australia. We just have one federal tax (the capital gain gets added onto all your other income, wages, dividends etc) and that has the varying tax rates. There are no state taxes. Isn’t there another issue unmentioned here? Namely, how long you resided in a state–and which state considers you a resident for tax purposes. You may discover that you do NOT have a choice where to pay your taxes. Also, if someone is bringing in $300,000 and can easily sell off $50,000 in assets, $389 is pocket change and not worth fretting about. All this– let’s avoid taxes biz– is also so self-centered. We’re all in this together; plus, those low or no state tax states often have poorer educational systems, lower support services; weaker safety nets; and are not as good a place to live! I’d take California or New York, any day, over Alabama and Mississippi! I thought I covered the residency aspect in the second paragraph. I completely agree that it all comes down to your state of residency. $389 may be pocket change but the larger point (as I see it) is that it’s easy to skip over the consequences of certain decisions that seem unrelated (i.e. moving to a new state and deciding on the optimal strategy for minimizing taxes). If you do want to minimize your taxes, it’s far better to be thinking about it throughout the year then sitting down in April and trying to pay as little as possible. The other thing to consider is that the tax is really a public policy tool. The government is incentivizing you to act a certain way (whether it’s saving for retirement or buying an electric car). Many times it’s both good for you personally and good for the greater good if you take them up on the offer. If you fight the incentives, you’ll pay more in taxes. When it comes to states, they are competing with each other to attract residents. 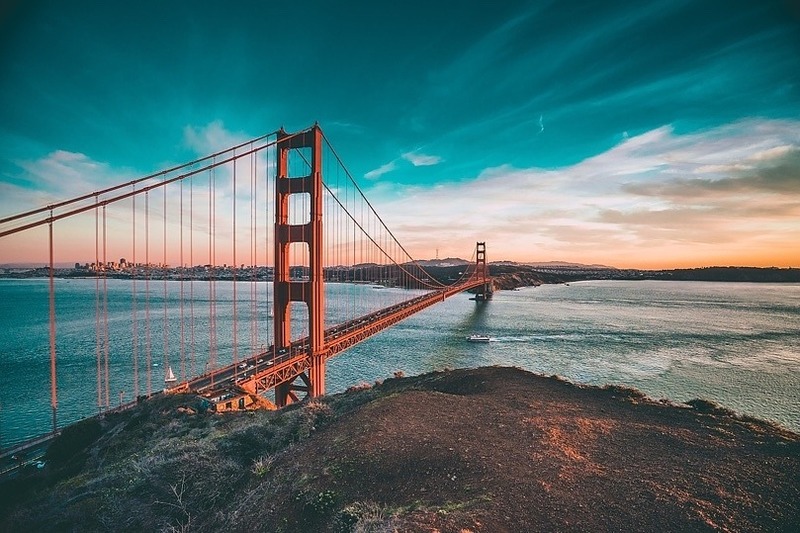 Of course $389 is hardly going to prevent someone from moving to California, but the higher tax burdens in states like New York and California definitely put pressure on their residents to look for other options. Ryan Holiday has a good piece on this by pointing out why for certain people it’s essentially free to live in Texas. A question on this question. How long does one need to reside in a state to qualify for the tax rate? If I live in NY for 7/12 months of the year and then move to Florida (sell) and stay there for the remaining 5/12 months of that year, am I qualified for FL state tax and I owe nothing to NY for the 7/12 months I lived there? I’d ask your CPA for advice on that and would be looking for someone who deals with questions like that every day. NY has some pretty stringent rules on residency precisely to handle people that spend a lot of time out of the state in sunny climates like Florida. I just came across this page while researching an issue of selling real estate in New York. I hope you are still reading these comments, as I am having trouble finding a definite answer about whether I need to pay NYC resident tax on capital gains from the sale of rental real estate I sold in NYC. I used to live in NYC and owned rental property there. In mid 2018, I moved permanently out of the US and do not plan to live in the US again. I got in contract to sell my rental property a couple weeks before moving, but the closing did not happen until a month and a half after my move. I made a capital gain on the sale of this property. I know I need to pay NY state taxes on it, but do I also need to pay NYC taxes on it? I had ceased to be a NYC resident a month and a half after the sale closed, although I did get in contract to sell while I was still a NYC resident.